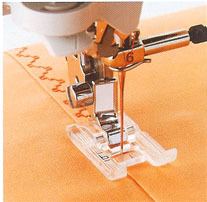 With a tape guide, this makes attractive binding similar to pre-folded or unfolded bias tape. 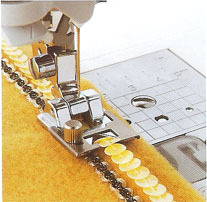 This foot guides braiding for embellishment. 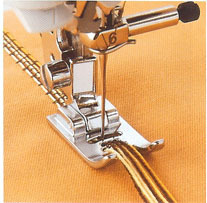 It is used with a braid up to 5 mm in width and attached it to the fabric as it sews. 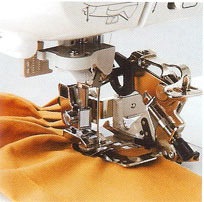 For optimum visiblity while sewing. 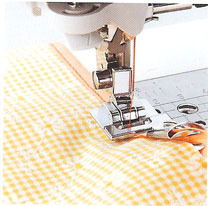 It is ideal for topstitching, decorative stitches, patchwork piecing, etc. 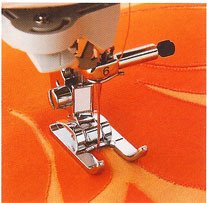 The foot creates dimensional threads loops on the top surface of the fabric. 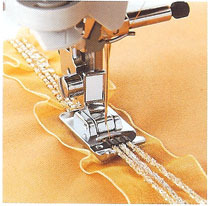 The loops can be also fringe by sewing with straight stitch along the root of loop and cutting bobbin thread. 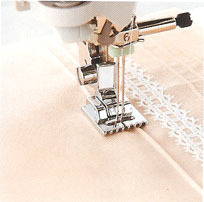 This foot is perfectly fitted to appliqueing, matching pattern and etc. 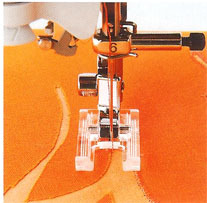 The open toe foot gives you greater visibility while sewing. 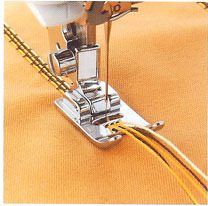 The pintuck foot, in combination with a twin needle, helps you to make perfect pin tucks as well as to sew corded pin tucks on shirts, blouses and many home decorating projects easily. 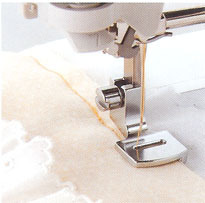 This attachment easily makes pleats or ruffling in light weight fabics. 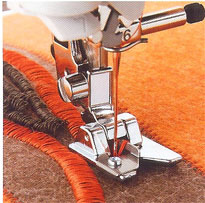 Use this especially for making your home deco more gorgeous.